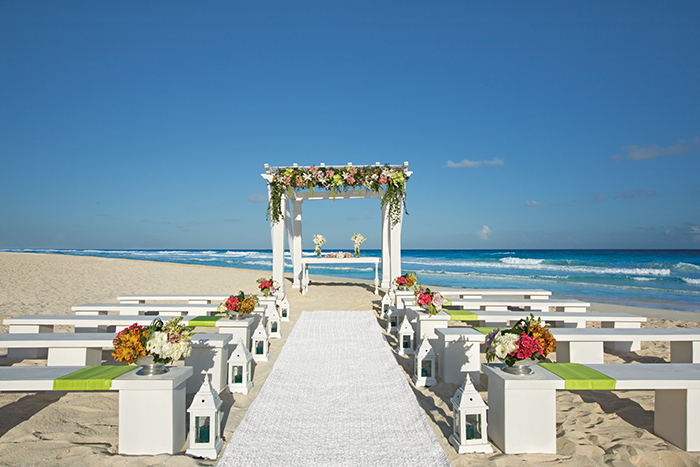 Secrets The Vine in Cancun is located on the coast of the Yucatan Peninsula, along one of the most picturesque stretches of beach in all of the Caribbean, ideal for an adults-only wedding ceremony. A destination wedding here would be all about the stunning views on offer, as every room presents amazing sunset and sunrise views, and the infinity pools gaze towards endless stretches of the ocean. The resort was designed by the world famous Rockwell group, and each wedding ceremony venue was thoughtfully curated with photography in mind. Wine is a huge inspiration to the resort! You and your wedding guests can book a wine tasting with a sommelier and sample some of the 3000 bottles on offer. 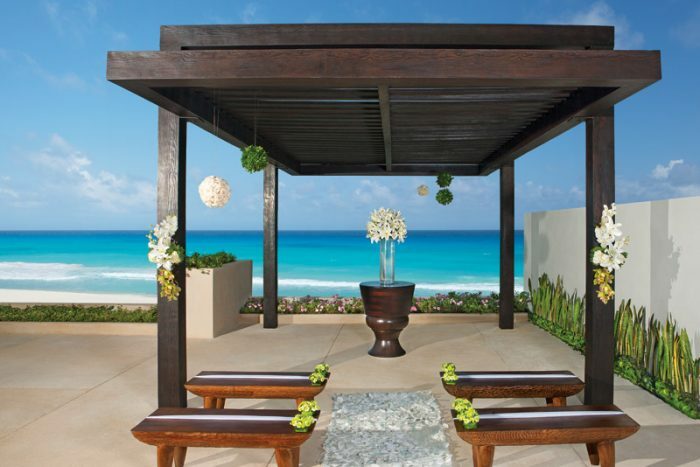 The resort is centrally located in the Cancun hotel zone. There is the perfect balance of activities for your guests on and off-site. 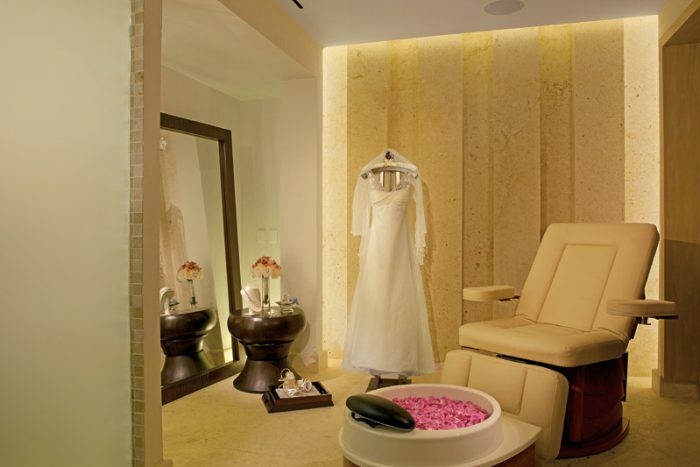 We are proud to say we are one of AM Resort’s preferred partners, so we are able to offer additional amenities to our couples! These include romantic continental breakfasts in bed, spa treatment discounts, and free romantic dinners. Contact us for more details. 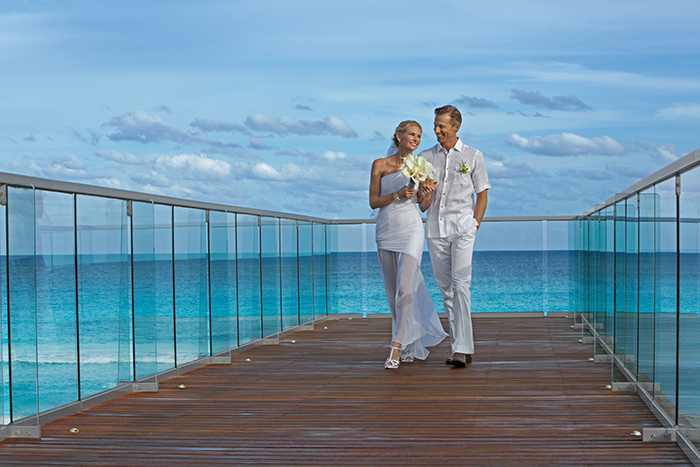 The Secrets Wedding in Paradise Package welcomes 10 guests and qualifies as free with a minimum booking of 7 nights in the Preferred Junior Suite Ocean View room category or higher, or if 5 rooms in any category are booked for at least 3 nights. Some packages are eligible for discounts during the months of August, September, and October. A la carte and Indian weddings are available. Upgraded packages, additional guests, and add-ons are available for an additional cost. 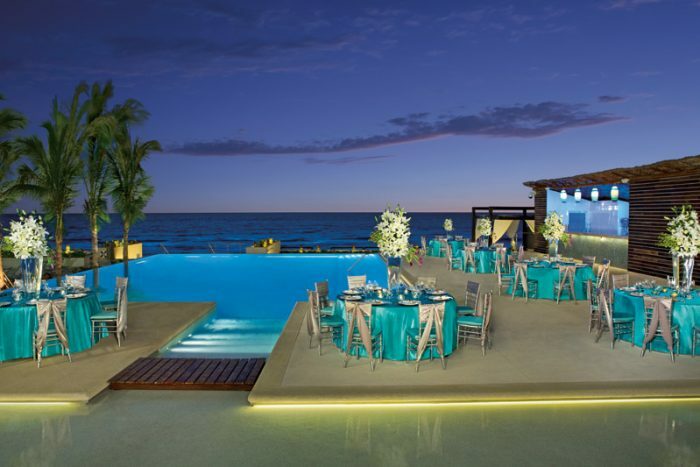 Beach – 350 guests max, The Vine Lounge Terrace – 150 guests max, Honeymoon Suite Terrace – 50 guests max (additional fees apply), Gazebo – 30 guests max, Preferred Club Cabana – 12 guests max. Secrets The Vine hosts 1 wedding per day. During slower months they may only have 3 – 4 weddings per week. $190 – $335 average price per person per night. Rooms include a private balcony or terrace, and daily restocked mini-bars. 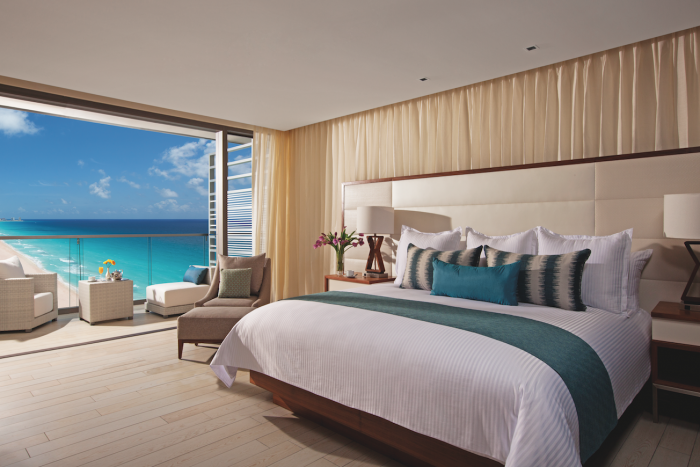 There are 497 rooms with ocean view or oceanfront views. The resort is able to accommodate mobility-impaired guests. 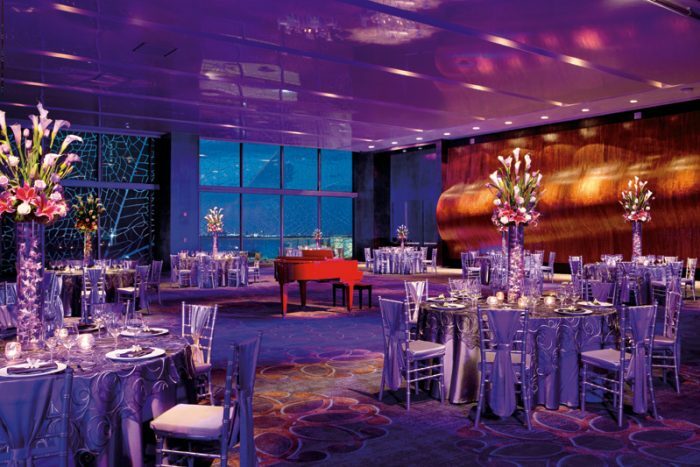 April, May, November, and October are the busiest months for weddings with the highest chance of sell-out. 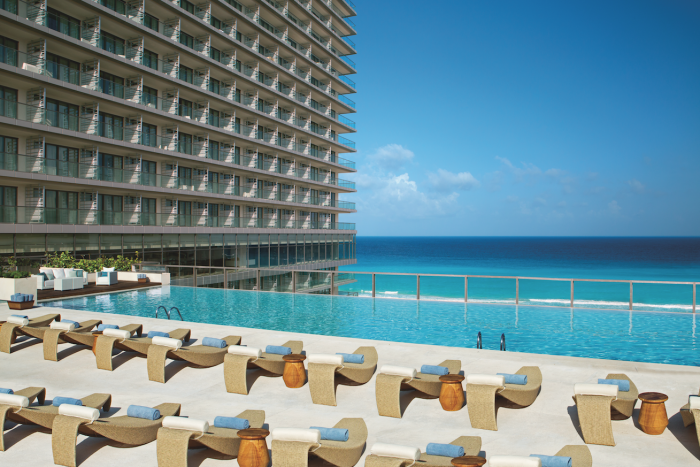 The resort is located 9 miles from the CUN airport. A: Oh it is hard to say, around 1200! A: There are many reasons! We only perform one wedding per day, the amazing views we have at the hotel, the bright turquoise ocean view we have in this specific area. 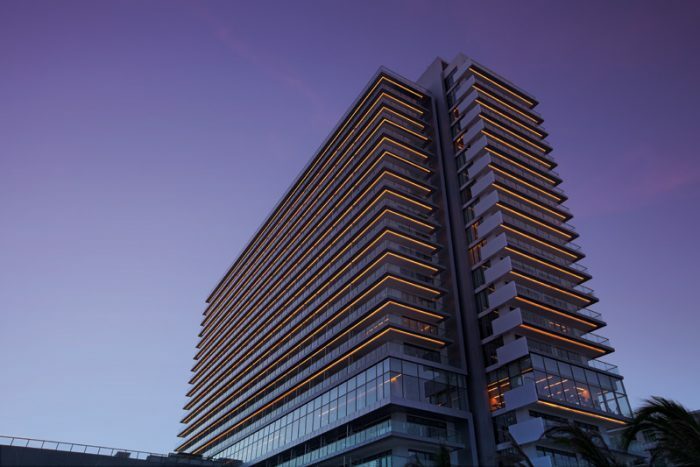 The proximity to the airport, the proximity to Cancun downtown with shopping malls, restaurants and nightlife. Our beautiful terraces for events, our gastronomy, beautiful locations for pictures (such as a fireplace in the lobby, wine cellar, red piano bar, all the wood accents we have around). 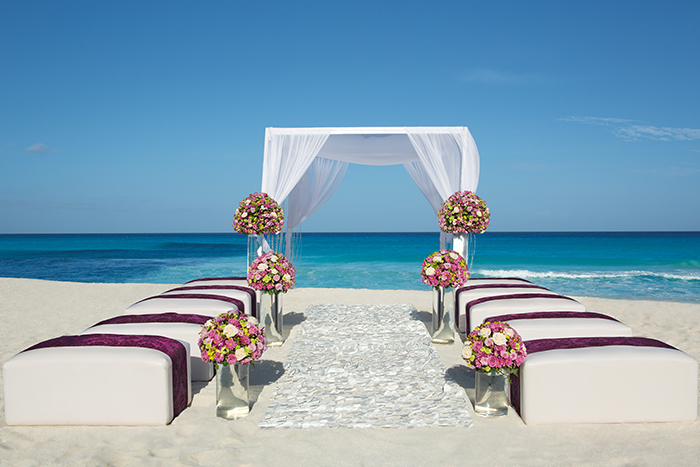 Our unique wine-themed concept, our butler service, our infinity pools, our waiters service at all the pool areas and the beach, our amazing ocean front gym, our sunset view ballroom. The first class spa (and we send the hairstylist to the room without an extra charge), and our well prepared and professional banquets and weddings staff members! 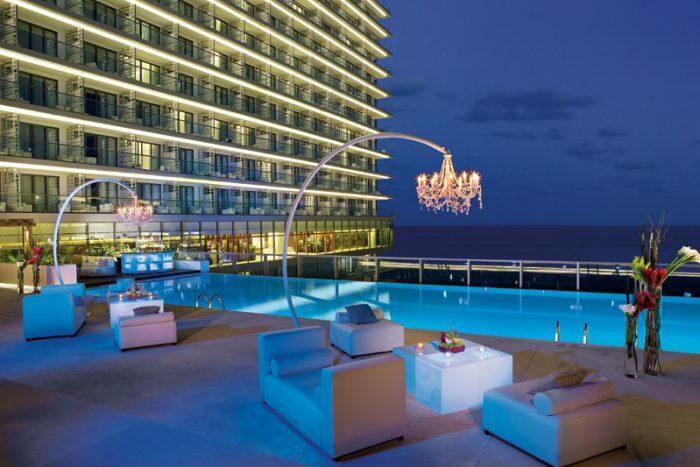 A: Service, food, attention to details, views, and the pool terraces. A: Sometimes the privacy at the beach, however, we have been working very hard on it and we haven’t had any complaints. A: Getting to know the brides, understanding what they want and what they like. The magical moment of the ceremony and seeing them happy and smiling!